On December 11th, 2011 was presented at Cohiba Atmosphere P&L Club, Bolivar Distinguidos, a Regional Edition for China . 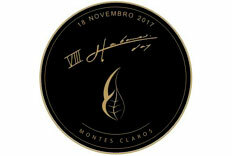 With this speciality, Habanos, S.A. and Infifon Hong Kong, Exclusive Distributor for the region commemorate the 50th anniversary of diplomatic relations between Cuba & China. 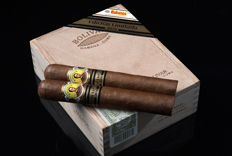 These Habanos Bolivar Distinguidos – ( girth 52 and 162mm length.) keep the blending of the brand characterized by its full flavor. It is a single Edition with the luxury presentation Porcelain jar whose design incorporates the 50th anniversary, flags of Cuba & China and the Bolivar logo. Each jar is packed with 25 Habanos Bolívar Distinguidos and are numbered, showing the exclusivity of the product. A total of 2010 jars are available in the market,as Bolivar Distinguidos are the most exquisite piece for Habanos collectors.